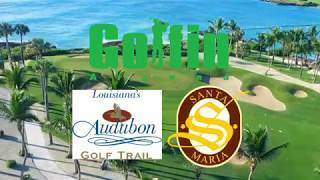 Santa Maria has consistently received Golf Digest's highest ranking for a municipal course. It is conveniently located one mile off historic Highland Road near I-10. 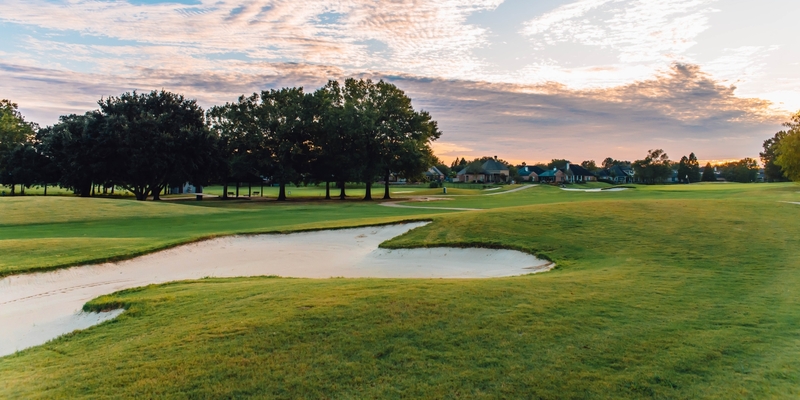 Designed by Robert Trent Jones, Sr., the course is built on 150 acres of rolling terrain, featuring 15 lakes and two natural waterways. Sand and grass bunkers, exquisite Bermuda fairways and ancient oaks provide the perfect setting for a memorable test of golf. 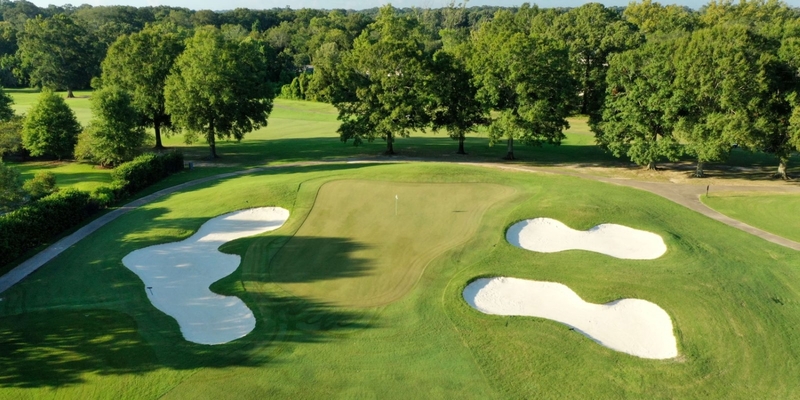 The 18-hole course measures 6,969 yards in length from the championship tees. The Spanish-style clubhouse includes a pro shop, a full-service restaurant and a private conference/dining room and fitness center. Champions Grill overlooks the beautiful par-five finishing hole. Santa Maria recently purchased a new fleet of golf carts and equipped them all with optional-use GPS units. Tee times may be booked six days in advance. Santa Maria reopened to the public May 27, 2006 after being closed for a year for the first major renovations in the course's history. Improvements totaling more than 2.1 million dollars were made to nearly every aspect of the course including: adding new greenside and fairway bunkers to restore original Robert Trent Jones, Sr. design, new concession and clubhouse facilities, reshaping and replanting of tees, greens and fairways, new bulkheads and sheet pilings along waterways, new restrooms, and major repairs to cart paths. This area spans 6.50 acres across South Baton Rouge. A playground area is currently being developed to serve the many young families who live in the Santa Maria subdivision. Please call 225-752-9667 for current rates. 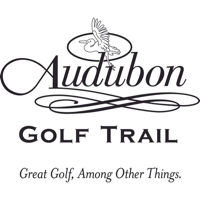 Call 225-752-9667 for rates and tee times. Contact Santa Maria Golf Club at 225-752-9667 for more information and details on holding a golf outing at the course. Contact Santa Maria Golf Club at 225-752-9667. Contact Santa Maria Golf Club at 225-752-9667 for onsite or nearby dining options. 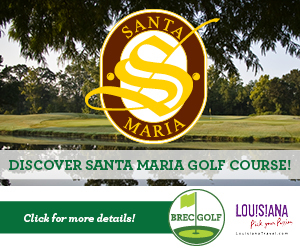 Watch the Brec's Santa Maria Golf Course Video. This profile was last updated on 01/08/2018 and has been viewed 5,379 times.